I do not tell you to forgive seven times, but seventy seven times. Jesus tells a dramatic story in the Gospel, to make a very important point: the desperate need in our world for forgiveness and reconciliation. How many chances do we give each other ? As many as seven ? How often do we shut doors on people, even family and friends, saying Thats it; youve just gone too far this time: never again ? 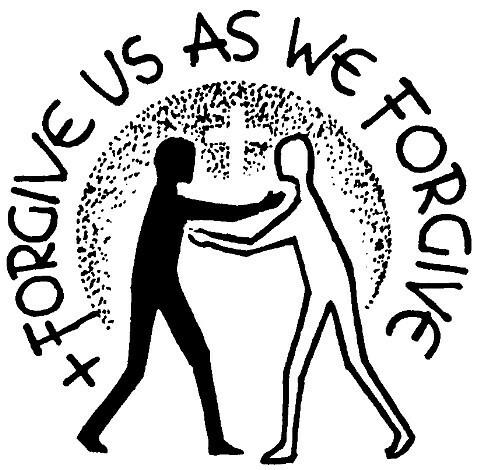 When Jesus says that we must forgive seventy-seven times, he implies that we never stop forgiving, whatever happens. He doesnt just say this, however: even when they do the worst thing that could be done to him, nailing him to a cross, Jesus puts these words into practice: Father, forgive them... As his disciples, we must do likewise. First Reading: Ecclesiasticus 27:30 - 28:7. This is a remarkable reading - almost like a Shakespearean soliloquy in its power and intensity! There is a strange darkness of tone in the reading, through which comes a great light - the light of forgiveness. This is very much a mood reading - which you will have to get into. The author has obviously witnessed the results of grudges, resentments and lingering senses of injury, and has seen the destruction they cause. The first four lines are very dark - almost growling: the words ...these are foul things are quite surprising in their power, especially in church on a Sunday morning: use them ! But then there is the light, the pleading of lines 5 and 6: Forgive your neighbour the hurt he does you.... Then we have an appeal to reason, with three rhetorical questions: pause after each one, to allow people to think of the answer. Then the most dramatic, poetic section is the last four lines, each beginning with the word Remember...: be as dramatic as you like with these, addressing them to the people sitting in front of you. They are a clarion-call to all men and women of goodwill, and the repeated remember gives this passage a tremendous emphasis. Also realise what the last three words are saying: overlook the offence: you can drop your voice for these, to a tender pleading, a desperate appeal, calling people to leave vengeance to those who do not know God. This is one of the finest passages of scripture that appear in the Lectionary: prepare and proclaim it as well as you can. As if realising the intensity of the first reading, this is brief and to the point: after the resurrection of Christ from the dead, both life and death are equally significant. Jesus has changed death, from an emptiness to something filled with the hope of glory. So we belong to him, whether we are alive or dead. Take this reading slowly, and in a matter of fact way, allowing the simple point to come across.